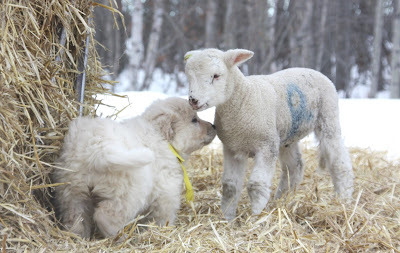 In the world of Livestock Guardian Dogs (LGDs) we talk about the importance of bonding. The word bonding, is used in almost all literature pertaining to LGD’s. Many of the problems associated with LGD’s are perceived as a “lack of bonding,” to their livestock. The advice most often given is to go back to the bonding stage to solve these problems. However, do we really understand what it means, or the impact it has on the long-term development of the pup? Is it bonding that makes LGDs successful or are there other factors that contribute to making a LGD successful? Are there different levels of bonding? Let us take a closer look at terms such as bonding, socialization and imprinting, as these terms are similar but different. Bonding is the process of forming a positive connection between two beings. The function of bonding is beneficial and promotes cooperation between both parties. Bonding occurs more naturally between same species, but certainly can (and does) cross species lines. Most of interspecies bonding comes about due to specific environmental circumstances. There are various forms of bonding, for example; familial (between a parent and offspring), or between male/female partners (coyote pairs form a monogamous bond for life) or even between species (pets and humans, LGDs and sheep). 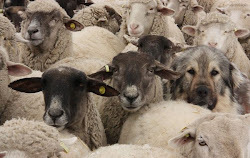 Bonding is not exclusionary, as a LGD can have a bond with the sheep, its human and its pack mates. A little stress certainly helps with the bonding process. In humans, when people share a stressful moment together, they tend to feel more bonded. In animals, this stress could be in the form of finding food together, migrating somewhere or even living together in homes, zoo’s, or pastures. One hears about amazing and unusual bonds happening between various species, for example; tigers bonding to goats in a zoo. Another parameter, that forges a bond, is problem solving together. You can see this in working border collies. The one who feeds the dog is less significant to the dog, than the person who works the dog. Another example of problem solving is hunting together. Inter-species bonding typically involves social animals. Imprinting is also a type of bonding, but not all bonding is imprinting. Imprinting is often found in mammals and birds; a well-known example are geese. When the baby bird is hatched, the first object it fixates on, will result in the baby following it. It is a learned behaviour that occurs at a very young age. It is a “phase sensitive” learned behaviour, and the window of learning in imprinting is usually limited to a few hours. The goal of imprinting is primarily to teach the baby who it needs to focus on. This is usually the parent, and it provides information about who they are and what species they belong to (this is important for breeding later). Imprinting is not limited to visual fixation but can also be auditory, tactile or through smell. Pups are born deaf and blind, but they do have an immediate sense of smell and gravitate to warmth. They can find their mom by smell and by body temperature. The smell of her, is imprinted on the pup. If she is a working dog her smell and that of the sheep are mingled, the pup becomes imprinted on that smell, associating it with warmth, nourishment, and comfort. Many shepherds will add sheep’s wool to the whelping area of a female. The wool provides warmth, and indirectly, smell, and will be the pup’s first association with sheep. The importance of this olfactory imprinting was highlighted in an experiment conducted at Utrecht University in the Netherlands. In this experiment, half of the pups were exposed to the human smell for 30 seconds, the other half of the pups had no exposure to people at all. The pups were raised with no human contact for the next few weeks. When reintroduced to people, the pups that had the first introductory smell at birth showed more interest in investigating people than other environmental stimuli, while the control group showed no preference. That initial scent awakened more exploratory behaviour towards that scent than the pups not exposed to it. Socialization is the action of introducing either people, animals, objects, or environments to the pup at an early age so that it will have a positive and beneficial association to these experiences. Pups who are exposed to various stimuli, adapt easier, faster and with less stress to certain situations when they are introduced to these various stimulations as pups. Dogs raised in isolation show greater fear, more stress and less adaptability when faced with new situations. It is important to socialize the pup to other farm animals, people, dogs, such as herding dogs and pet dogs, and introductions to things such as stock trailers, tractors and as many experiences as possible that are important for a young LGD. Shepherding may be done from horseback, if so, introducing a pup to horses will be important. The idea behind socialization is to have a dog that is well adjusted, friendly, calm, and confident when confronted with new experiences. Back in 1953, Drs. Scott and Fuller described what they regarded as critical periods of development in pups. Essentially, they describe two periods of socialization, the first is from 3-7 weeks where the pup has its primary canine socialization (through the mom and siblings), and the second period is from 7-13 weeks of age where it will develop its bond/connection to humans. 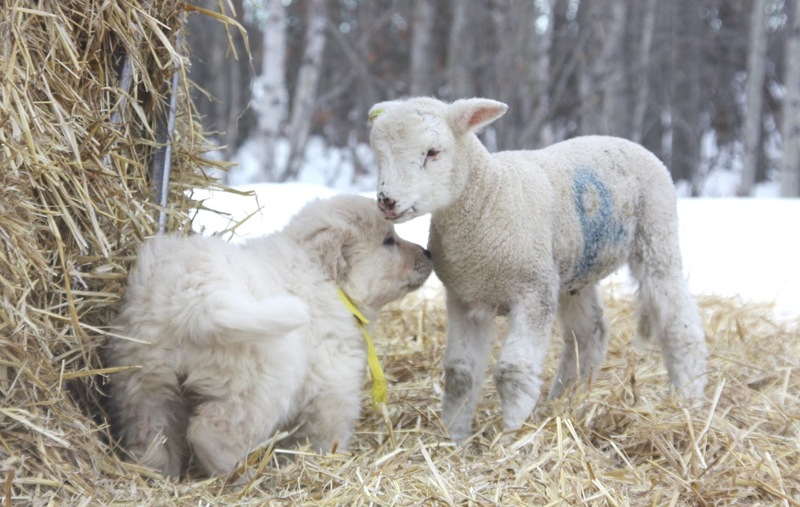 For livestock guardian dogs, bonding can be described as the process of combining elements of imprinting (through smell), socializing the pup and exposure (giving it time and opportunity) to form a bond between it and the livestock. Through the bonding process, the young pup will feel an attachment to the livestock. The pup grows and feels the sheep are an integral part of his world, so when threatened, the dog will be protective of these animals. Research done in the USA in the late 1970’s by Ray and Lorna Coppinger and Jay Lorenz, found the ideal age for bonding a young guardian dog to the livestock was between 7 and 16 weeks old. This concept is not new, as many shepherds in Europe would often wean young pups and raise them with sheep, sometimes even suckling these pups onto an ewe to ensure that the pup feels an attachment to the sheep. 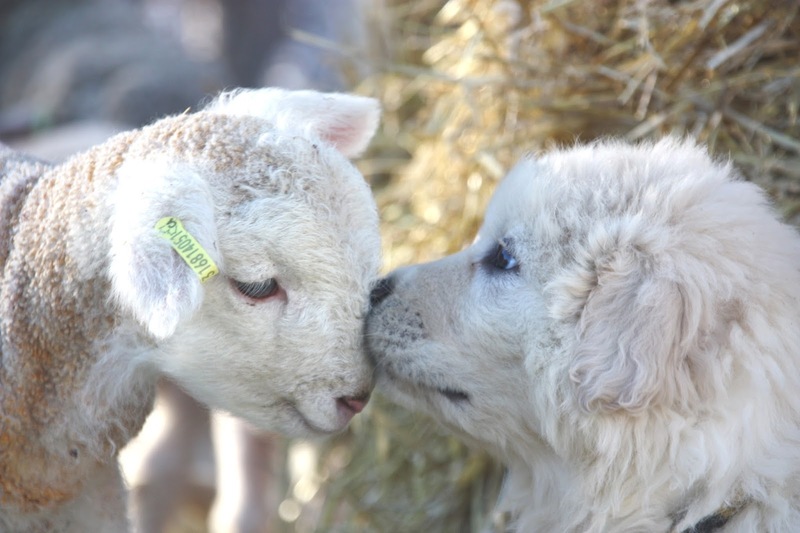 As Jay Lorenz states; “During the first year, training should emphasize socializing your dog with sheep to form social bonds.” In other (non LGD) dog research, they have found that the “critical period of socialization” for pups to their humans is between 7 and 13 weeks. LGD pups seem to have a somewhat slower development than many other breeds, so it is certainly understandable that the window for bonding can be extended 16 weeks. This window is regarded as a “critical time”, but this does not mean that an older dog cannot bond with the stock, or that an older dog will fail as a LGD if it was not fully bonded at this age. This critical time simply means that this is the ideal time to maximise on the natural learning development of the pup as it is more receptive to forming these bonds in this period. This process can be related to learning a new language. For a child, it is easier and faster to learn a new language when introduced to this new language when they are young. As we mature it takes more time and effort to learn. A LGD needs to learn the language and behaviour of the sheep and this is best done at a young age. Having this bond, does not mean that the pup will always be perfect with the livestock as he grows up, but not having this bond certainly increases the chances of the dog not wanting to stay with the sheep as it matures, nor feeling any compulsion to want to protect the livestock. It is this bond that makes the dog a guardian dog as opposed to a guard dog. Bonding priorities is something not often considered when it comes to LGDs. It is easy to understand that the dog/dog bond would be the easiest to form and have the highest priority for the pup. Animals will naturally form stronger bonds to their own species first. It is also relatively easy for dogs to form bonds to humans as we provide for their physical needs and we socially engage them in an interactive manner. Inter-species bonding is a little more unusual, but certainly not rare. 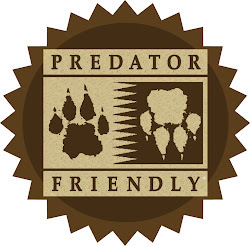 It is logical that the bond between predator and prey might be one of the hardest bonds to create, simply because in this partnership, one eats, and the other is eaten, and by definition, not mutually beneficial. As LGD are still predators, and sheep are still prey, what we are wanting is that the dog and the sheep form this unusual bond. We know that this is challenging so we need to prioritize this relationship and as owners, need to facilitate this process as best we can. The bonding process can also be hindered through things like distractions, pain and fear. If you have a goat beating a pup continuously, then the chances of this pup bonding to the goats is low, it will either become fearful, aggressive or will seek out ways to run away. Too many distractions will make it harder for the pup to form this attachment and be content to live with the livestock. We know that bonding is important because if a dog does not have any connection to the livestock, it will have no desire to live with, or protect them. However, there is no guarantee that if you do the whole bonding process correctly, that it will result in a perfect LGD. We do know that dogs who do not feel bonded to the stock tend to lack attentiveness, be less trustworthy and have little protectiveness towards the stock and are often more prone to roaming away from the stock. We also know that dogs can be highly bonded to the stock, but not be very protective of them. 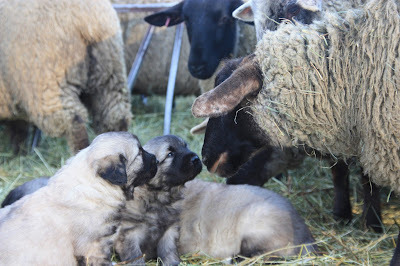 Bonding alone does not make a LGD, but without bonding, a large part of what makes a livestock guardian dog effective, is absent. Part 2 will focus on the practical aspects of bonding.